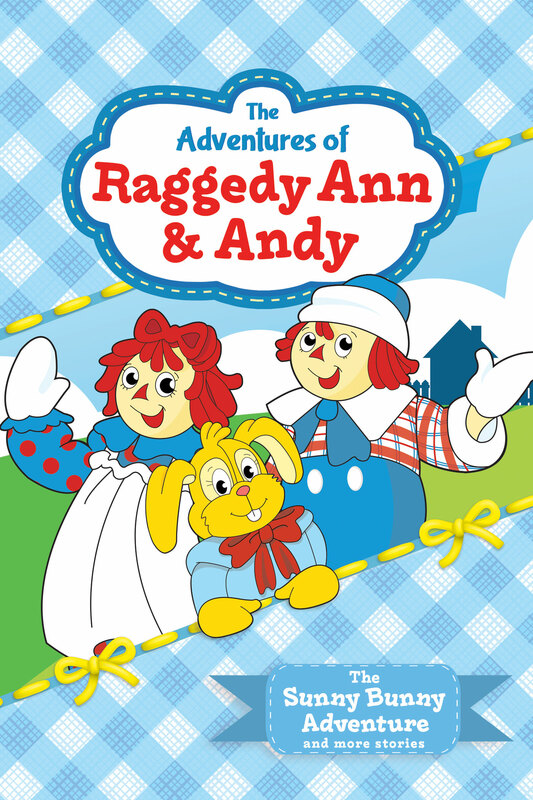 Celebrate favorite childhood memories with the return of THE ADVENTURES OF RAGGEDY ANN & ANDY. When no one is looking, a little girl’s Raggedy Ann & Andy dolls come to life and go on magical adventures in Raggedyland. In THE SUNNY BUNNY ADVENTURE, Cracklin Wizard and the Witch accidentally kidnap Sunny Bunny, prompting Raggedy Ann & Andy to set off on an adventure to rescue their friend. Can the world’s cuddliest duo save the day? Relive the magic of Raggedy Ann & Andy in four classic adventures perfect for the whole family! TM and ©2014 CBS Broadcasting Inc. All Rights Reserved. Raggedy Ann & Andy are trademarks of Simon & Schuster, Inc. All Rights Reserved. Art and Design ©2014 Cinedigm Entertainment Corp. All Rights Reserved. Marketed and distributed in the U.S. by Cinedigm Entertainment.